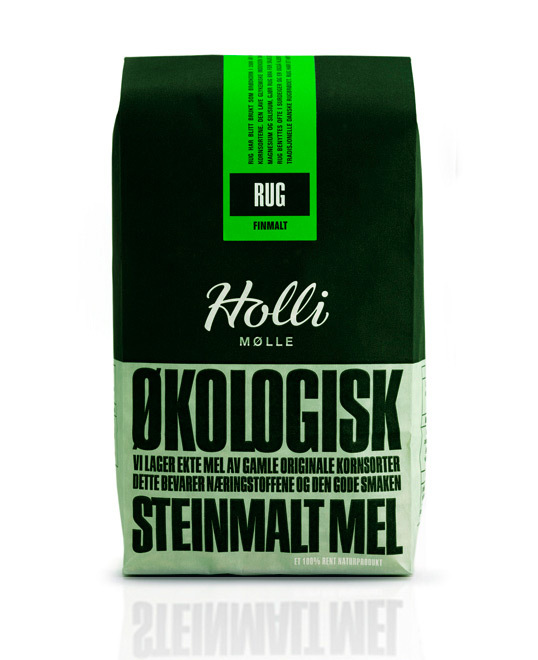 “Holli Mølle is a small organic mill in Eastern Norway, specializing in flour production with the use of ancient and nutritious grain types. 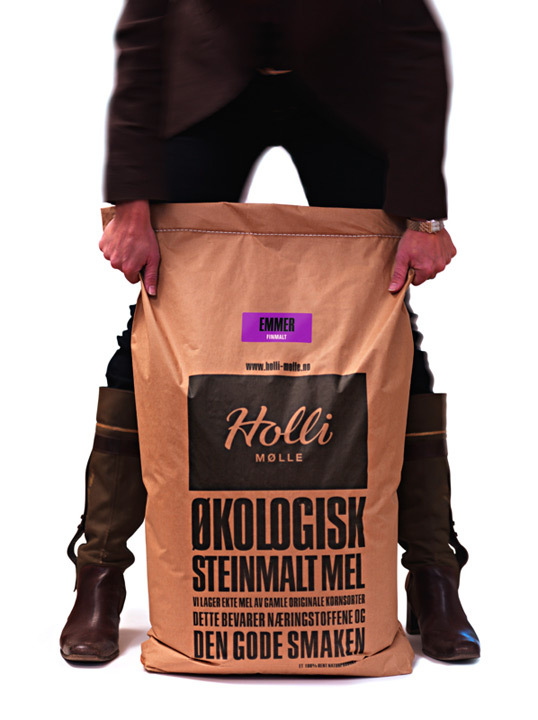 The target audience is modern women who value health and nutrition and are willing to pay extra for the safety and taste of organic flour, thereby providing them with an extra feeling of love and care for their family. – The identity should be based on traditional and authentic values. 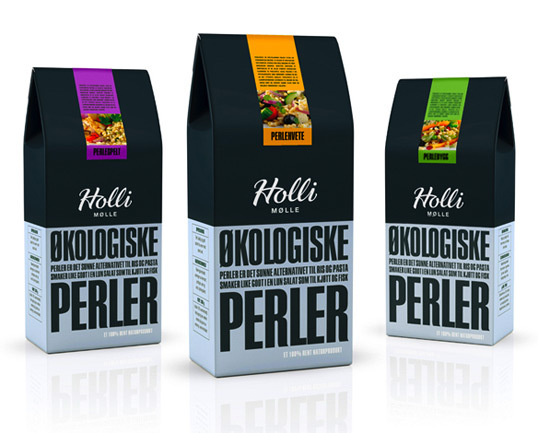 – The packaging should be environmental friendly, functional, flexible and efficient in production. 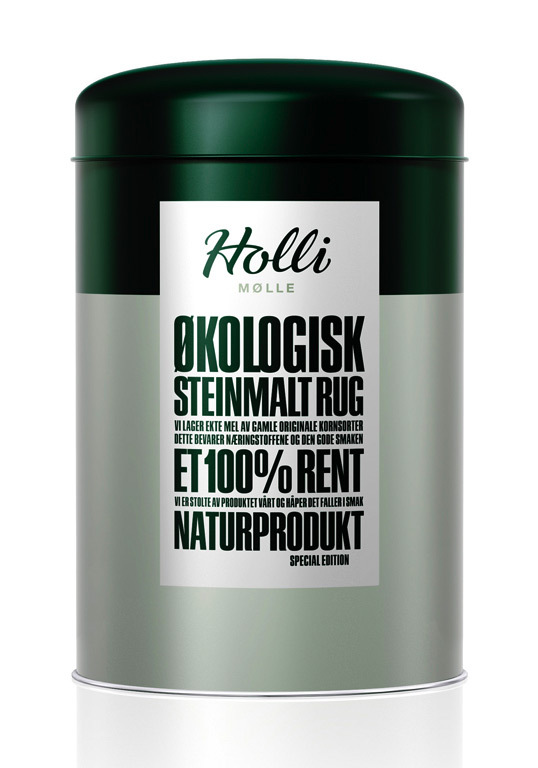 – The identity should challenge the existing visual language in the flour category. I just question the wisdom of using such dark colors to package flour… they are going to get powdered very fast and won’t look clean on the shelves, unless the store has clerks clean them when they put them up, which I don’t see happenning, or at least not very often. I’m a fan of the clean design. I don’t understand a lick of what the wording says but I sure like the hierarchy and its appealing to me.